As the kids get back to school we are reminded of the changing seasons where the lower mainland gets ready for rain and lots of it. 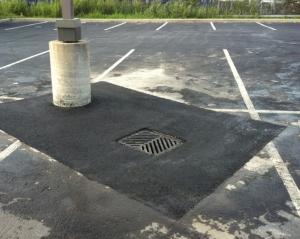 Now is the time to do some preventive maintenance on your drains and catch basins in your underground garages. The rains are coming and will be a test for your drainage system. 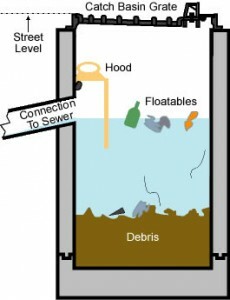 Expect that debris has found its way into your catch basins and will effect the rate of drainage. EdenFlo is investing in being the premier vacuum service for low ceiling garages in the lower mainland. Our “Low Boy” trucks not only create a low profile, but are nimble in navigating the tightest parking garages. Think of Edenflo as the specialists for this area. 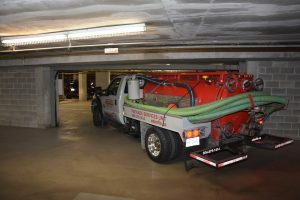 Because our equipment is so specialized, we are able to be the most efficient in cleaning the drainage and catch basins of your underground parking garage. More efficient means less time on site – the job is done faster and better. 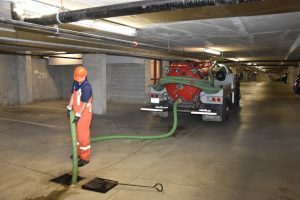 Whether your low clearance challenge is in Vancouver, Aldergrove, Surrey, Langley, Buranby, New Westminster, Delta or White rock, EdenFlo provides scheduled maintenance service for your parking garage drainage needs. Fall signals the beginning of the rainy season. 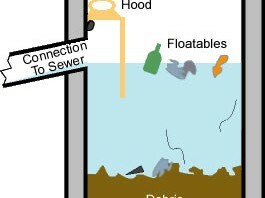 Now is the time to book your drain cleaning service. This entry was posted in Parking Garage Drain Cleaning and tagged Abbotsford catch basin cleaning, Aldergrove catch basin cleaning, below level parking garage drain cleaning, burnaby catch basin cleaning, Catch Basin Cleaning Vancouver, Delta Catch Basin Cleaning, langley catch basin cleaning, low ceiling drain cleaning, low clearance drain cleaning Aldergrove, Low clearance drain cleaning Burnaby, Low clearance drain cleaning Delta, low clearance drain cleaning Langley, low clearance drain cleaning New Westminster, low clearance drain cleaning Surrey, low clearance drain cleaning vancouver, Low clearance drain cleaning White rock, New Westminster catch basin cleaning, Surrey catch basin cleaning, vacuum pump for parking garage, White Rock catch basin cleaning on September 13, 2017 by Edenflo.